With free entertainment and activities included, you’ll be hard pressed to find a better deal than this! 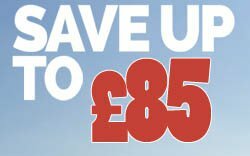 So go on.. click on the link below to claim this offer and save £85 off your easter break. Hurry and book quick as this offer expires soon! 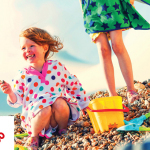 With 26 Caravan Holiday Parks across the southern UK coastline from Devon in the West to Suffolk in the East there are lots of great locations to choose from. 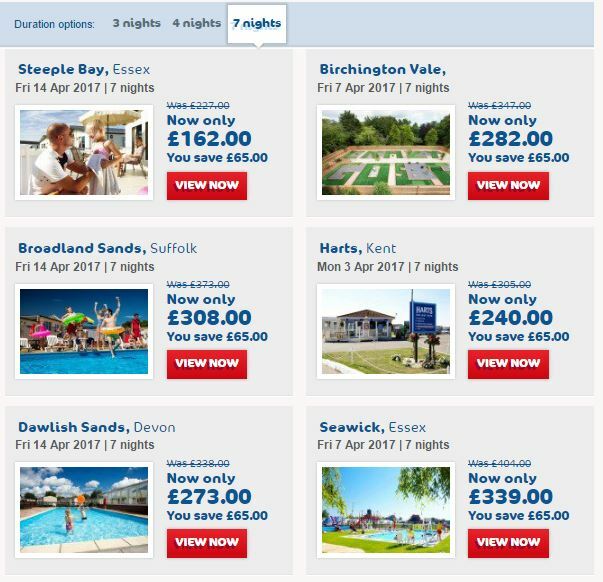 And with 7 night breaks starting from just £162 this Easter, book now for the best deals possible. Throughout the Easter holidays you can be sure there will be plenty to keep the children happy, with free entertainment and special Easter activities included in your break. 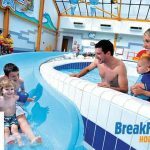 There’s also loads to do on the holiday parks, including sports courts, bike hire, and wildlife trails with plenty of indoor fun too from splashing around in their heated indoor swimming pools, Kids’ Clubs and indoor play areas. There’s lots to do in the local area too including boating, fishing, watersports, golf,walking and cycling. 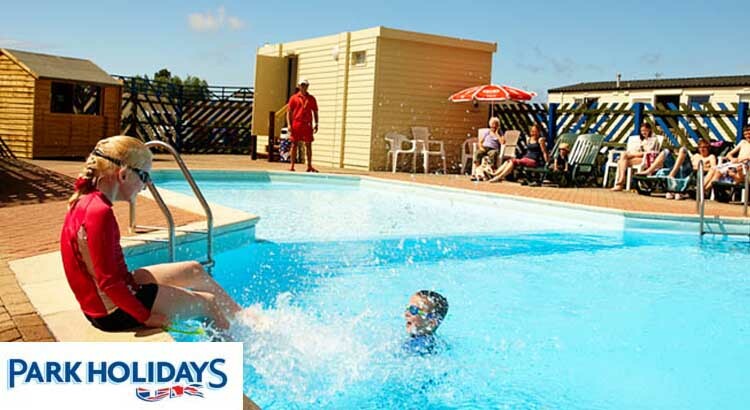 So if you love camping and caravan holidays or simply looking for a family holiday park that’s great for kids this Easter school holidays then Park Holidays Resorts offers the best choice of break for you. Park Holidays is a top choice for families this Easter Holidays. 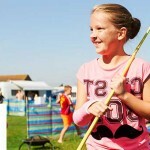 Their holiday parks all have pools, sports, children’s clubs and entertainment. On most parks there are indoor and outdoor pools, kids clubs, and day and evening entertainment. On most parks there are indoor and outdoor pools. The live entertainment is sure to be a big hit with all family members. 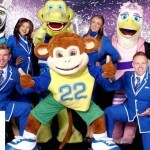 The family venues are friendly and inviting and if you’ve stayed with Park Holidays before you’ll be no stranger to the quality and choice of the entertainment they offer for both adults and children. As well as live shows, there are fun competitions, discos and karaoke and cash bingo and a fun Game Zone. Whatever you enjoy, there’s something for everyone… and better yet, it’s all included in the price. Park Holidays has lots of different accommodation including holiday caravans, quaint cottages, seaside chalets, spacious lodges and luxury apartments, all arefully equipped so you have everything you need for a fantastic family holiday. Park Holidays UK is the perfect choice for the family getaway because they offer dog friendly holiday accommodation allowing you to take your beloved pet along with you. As our pets are often a big part of our families it’s only natural that you’d want to include them in your family holiday. There are caravans that are especially allocated for pets to stay so be sure to look out for the ‘Pets Welcome’ symbol The sites themselves are very welcoming for your pet and the locations are perfect for lots of lovely walks. There are swimming pools at each holiday park that are bound to be a big hit with the kids! Pool entry is free too. So why not take the family away this Easter from just £183 . With a great choice of holiday parks and free onsite activities, there’s never a better time to book some school holiday fun!